Addemar Support Knowledge - Easily archive old creations, contact groups and campaigns. Easily archive old creations, contact groups and campaigns. Too many email creations, campaign evaluations to keep a good overview? Is it time to start organising in your account? Archiving will better organize your creations, contactgroups and campaign items. It will move certain creations, contact groups and or evaluation campaigns to an archiving location. They will be removed from your current directory structure and placed under a seperate menu item, Archive. There are different options: either manual archiving or automatic, described below. 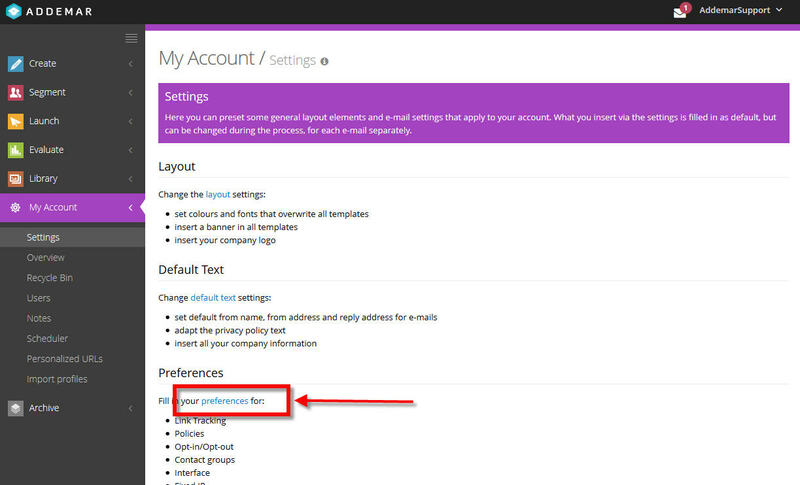 For automatic archiving, you need to activate the feature according to your preferences (this is on account level, not on user level!). In this tab you can activate archiving your creations and/or your contact groups and/or your campaigns. 1. 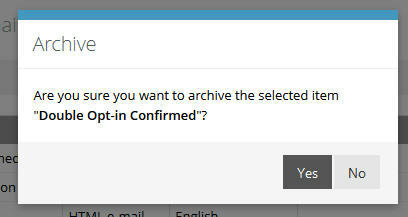 Automatically archive : Yes or No. This activates or deactivates the archive option. The archive per section can be organised in the selected folder options. 6. Exception prefix : Items with this prefix will not be archived. 7. Exception suffix : Items with this suffix will not be archived. Note : Archiving runs every night. On first activation the archive will be created and executed the following night. This is very easy. Have a look at the following example. If you click this icon, you get a confirmation popup. Click Yes to archive the creation. If yes is clicked, go to Archive - Creations menu to see where your creation is archived to. This can be done for Creations, Contactgroups and Campaign Items. Please be aware that the folder structure of the archive section is determined inside the Account Setting for archiving. Described above. How do I manage my contact groups? How do I manage my creations? How do I launch my campaign?